Home buyers fret over every detail of the homes they consider when getting ready to buy or rent: Room size. Appearance. Roof health. Curb appeal. But as realtors can tell you, they’re rarely questioned about the most important element of all: The home’s foundation. Since a building’s structure relies on solid footing, getting ready to make repairs is a lot easier to digest if you know something about foundation types, how they differ and what you can expect to spend for repairing your house’s foundation if needed. What does it cost to make foundation repairs? You’re in for an education if you assumed that there is only one type of house foundation. In fact, there are four categories, each one engineered to do the best possible job of structural support over the long haul. This type of foundation is the most common. These slabs are generally 4- to 8-inches thick and each is embedded with steel rods and pipes. Once the foundation has been poured, the house is built atop the slab. There are pros and cons associated with concrete slabs that should be considered. 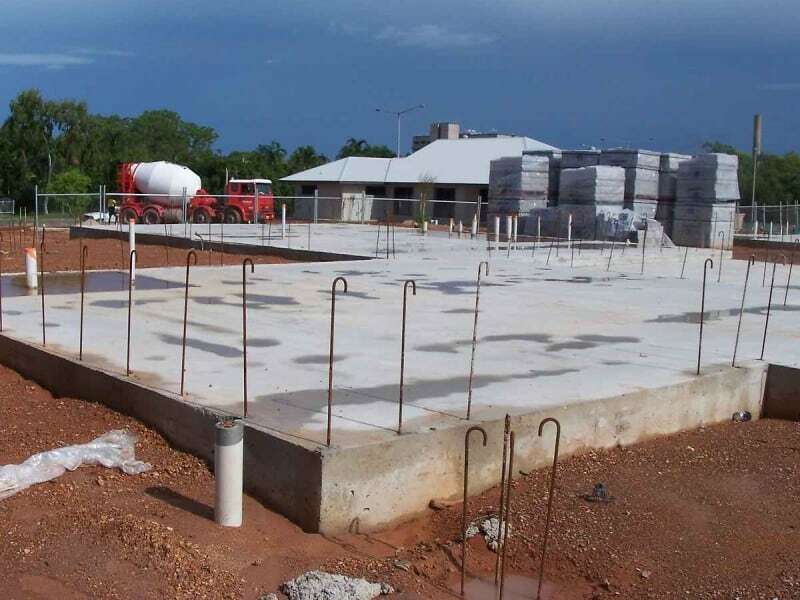 Slab foundations are the fastest, cheapest choice, so experienced crews install it as long as there are no mitigating circumstances that require a different type of foundation. That said, slabs don’t allow air space between foundation and floor, which could lead to air circulation issues, mold build-up and termite infestations. And if a leak occurs, getting to it may prove difficult. If your home has a basement, it was probably built using concrete pillars that are installed around the perimeter and sunk at least 8-feet into the ground. 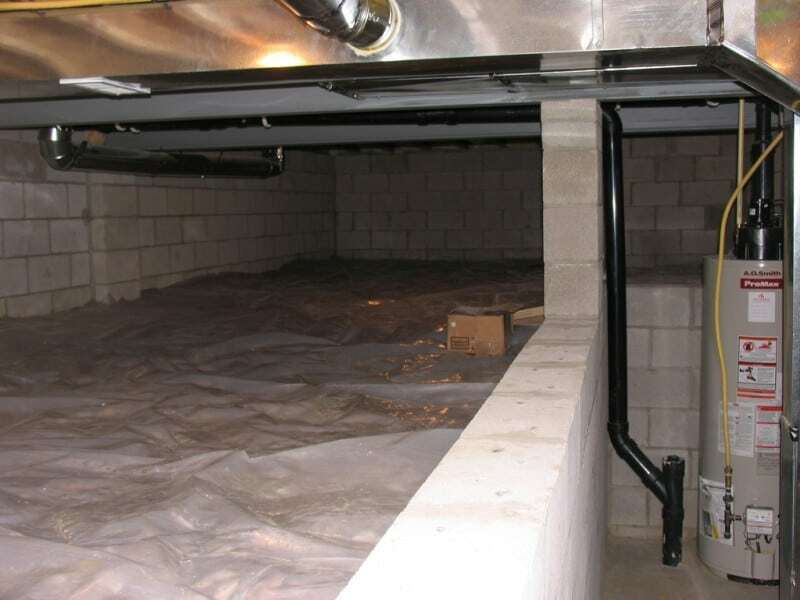 Basement foundations provide extra space for storage, and because air flows between the house and the ground, you can expect better ventilation. While homeowners enjoy this circulation and ventilation advantages when temperatures heat up, in return for this advantage, expect to pay more for this style of foundation. Further, ongoing maintenance is important. Neglect a basement foundation and the entire structure could be compromised by mold, mildew and moisture damage. Think this is the same as a “basement” foundation? Not quite. Crawl spaces are often recommended when ground soil is hard to penetrate but there’s an advantage to having space that allows the homeowner to make repairs or store things. This type of foundation requires smaller pillars than those used for basement installs. They’re generally between 3- and 4-feet tall. They are sunk into the soil around the perimeter. Crawl space foundations aren’t perfect, though they can be lifesavers in areas where groundwater levels are high. For starters, when temperatures get frigid, crawl spaces make it more difficult to heat a home, so your power bills could make you wish you had opted for a concrete slab. It’s also possible that critters of all sizes and shapes may take refuge in your crawl space, and stagnant water build up could trigger health problems for family members, especially if the space is neither sealed nor insulated. These are distinct. 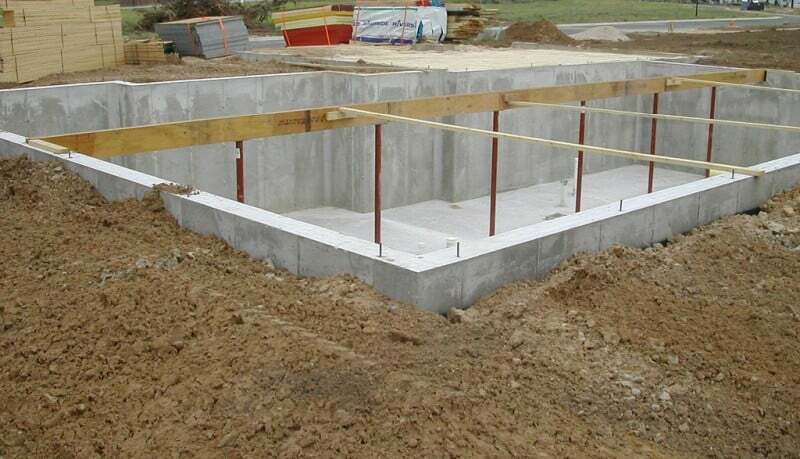 This type of foundation requires contractors to place small concrete pads at strategic distances that define the home’s perimeter, securing them to the ground with wood posts or steel rods. Once the home’s shell is erected, it’s connected to those pier foundation pads to create a support network that’s solid and dependable. Pier foundations aren’t for everyone, but they can help when terrain won’t tolerate a traditional slab foundation. You’ll have to take out your checkbook for this type of foundation, but in return for your investment, you get assurances that this foundation has the potential to last longer than other types. That stated, creaking or sagging floors have been known to develop and ventilation isn’t always optimal, so weigh your decision carefully. -On average, says Home Advisor, homeowners pay about $4,071 for foundation repairs. -If hydraulic piers need repair, the average cost can hit $10,000 or more. -You might be able to get away with $500 to fix if you only need minor crack fixes. -Cracks wider than 1/8th of an inch can up your repair bill fast. -Contractors may discover more serious issues when estimating repairs, like sinking foundations or encroaching soil that stresses the foundation. -Pier foundation cost estimates are usually based on number of piers required. Estimate $1,000 to $3,000 per pier if you choose this option. -Leveling (mudjacking) services needed to raise a foundation typically run between $500 and $1300. -An uneven foundation triggering tipped, bowed or cracked surfaces may require the installation of braces that can cost from $500 to $700 each. -A contemporary alternative to uneven foundation problems is epoxy spread in strips that adhere to carbon-fiber mesh and installed at 6-to-8-foot intervals that cost between $400 and $660 each. -Whether drainage or excess moisture infiltrating your foundation is the problem, on average you will spend between $2,000 and $6,000 to restore the integrity of your slab. -Foundation water damage repair may also cost between $2,000 and $6,000 to seal a foundation so this doesn’t happen again. -If your part of your foundation is washed out due to a drainage problem, plugged gutter or broken water pipe, you may be surprised to learn that simple concrete/lumber fixes can cost as little as $500. -In some parts of the country, polyurethane injections fill cracks caused by leaks, but this may not be a solution for other areas. If you’re building a foundation from scratch, your first decision is to decide on the type of foundation you and your contractor agree upon. While the average cost of pouring a new foundation is around $8,043, the topography in your geographic area, foundation style and temperature extremes may combine for a cost of between $3,964 and $12,155. In general, foundations run from $4 to $7 a foot, based on style. In some cases, it’s wiser to replace a foundation rather than repair it. If this is the case, expect to spend between $20,000 and $100,000, depending upon foundation type, soil makeup and the design and weight of the house. -There are three primary grades of concrete slab: basic, commercial grade and high-strength. Using the middle grade isn’t the cheapest but it is the most commonly recommended by contractors. -Self consolidating concrete is relatively new to the building industry, but it’s gotten so popular, building industry analysts say it accounts for 75-percent of all new concrete foundations installed. -Environmentalists are beginning to request limecrete, a Portland cement binder replacement, because it recycles a material that would otherwise wind up in landfills. -High-performance concrete is a wise choice in areas where curing time must be fast for myriad reasons. On the other hand, rapid-strength concrete cures in just hours so for those in a hurry, this is the gold standard. -Also new is micro-reinforced ultra-performance concrete that uses embedded steel fibers to up the strength and durability of the foundation. Preferred by contractors and engineers building foundations in earthquake-prone communities, this material does the best job of resisting wind, chemicals and water, too.